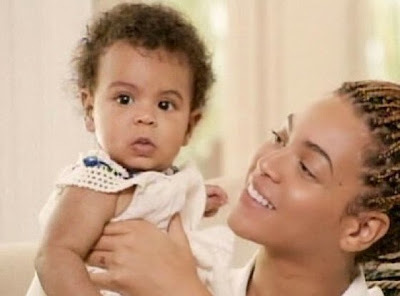 AFRICAN AMERICAN REPORTS: Blue Ivy's hair is an issue? Really? Blue Ivy's hair is an issue? Really? I must have been under a rock for a few days. Today when coming online to sites like Facebook and Twitter I have just learned that the state of Blue Ivy's ( Jay Z's and Beyonces baby girl ) hair is now an issue. Really? To everyone talking bad about the baby's hair. To everyone criticizing Blue Ivy's lack of a hairstyle. To everyone who appareantley doesn't have enough important sh*t going on in your own life that gives you the time to talk about a baby's hair. Blue Ivy is a pretty baby as most babies are and her hairstyle is not important. Adults should not be putting their pscycholgical bullsh*t about THEIR hair onto our children. That's your f*cked up way of thinking. Do everyone and every little black girl a favor and keep that sh*t to yourself. Being women of color our little girls will have enough challenges throughout life. Let's not put a bogus one on them.